In addition to our standard delivery options, we offer a range of special services that allow us to cater to your specific needs. Services might not be available in some countries. 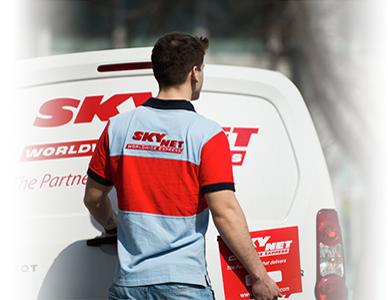 Please check with your local SkyNet partner. Mailroom Management Mail is collected from either centralised mail trays or from the desk, consolidated, sorted and delivered nationally to recipients, be they customers, suppliers, branch offices or banks, on the same day or overnight.